Notes: This species is deadly poisonous if eaten raw. Although it is eaten after special preparation in some countries, there are indications that it may still be poisonous to some even them. Cap: size 4-10cm; colour brown; Extremely convoluted - like a cumpled paper bag. Stem: length 2-4cm; width 2-3cm; colour cream,beige; shape equal; attachment central; features no ring. 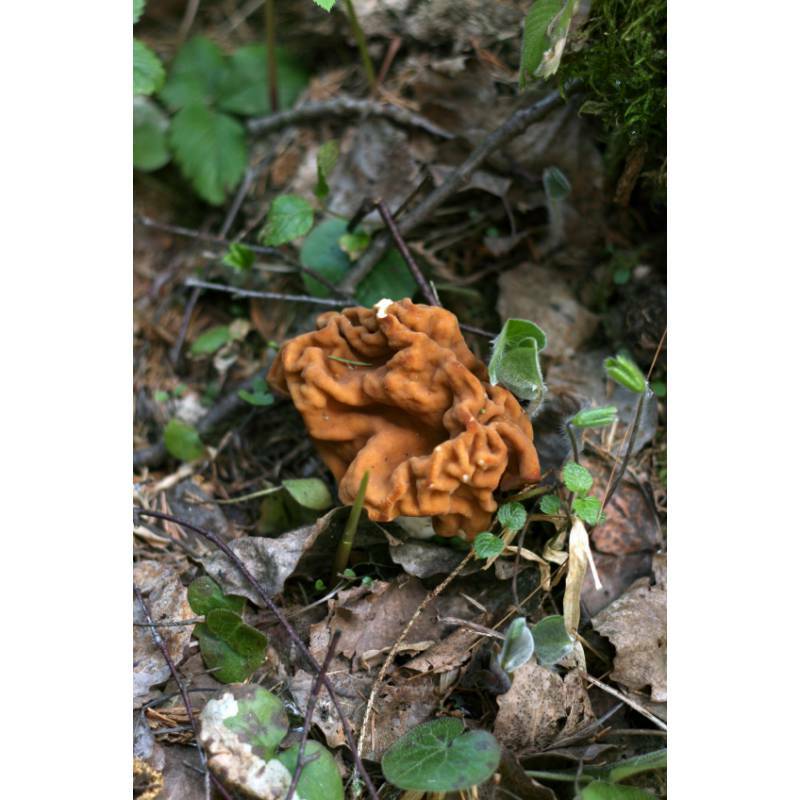 Flesh: flesh coloured; has hollow chambers (not completely hollow as in the Morel).